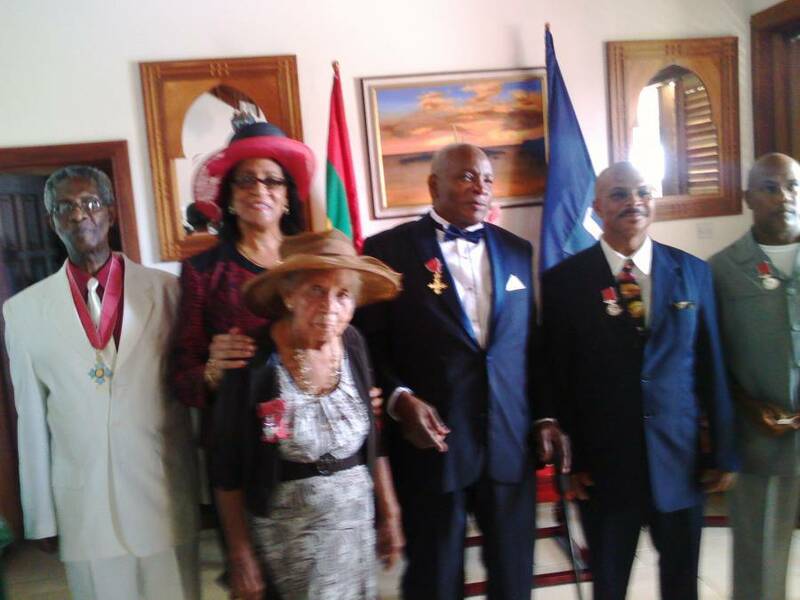 “I encourage you to wear your insignia and use the letters that signify what they are — badges of honour to inspire those who follow in your footsteps,” was the message from Governor-General Dame Cécile La Grenade when she spoke to 6 Grenadians who were honoured by the Queen. 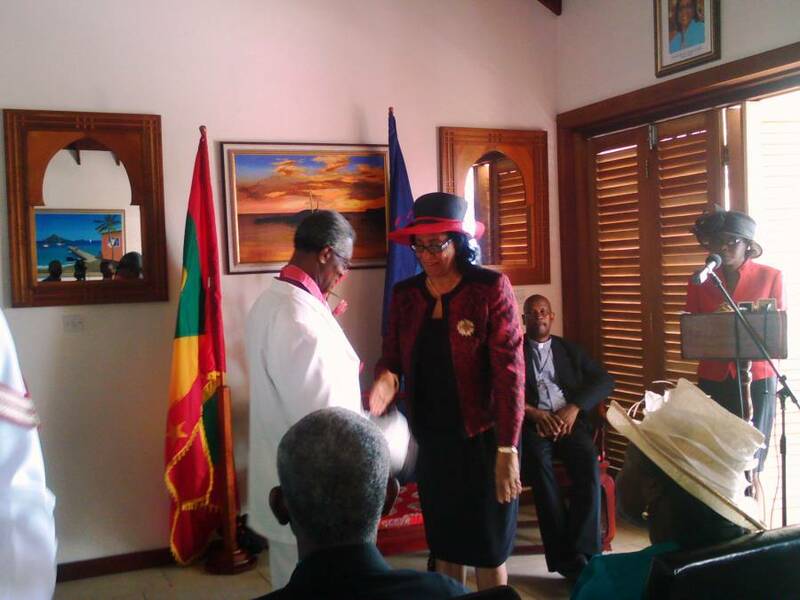 During the investiture ceremony at her residence at Point Salines, the Head of State who represents the Queen by virtue of Grenada being a former colony of Britain, said that recognising and honouring dedicated individuals fosters sustained commitment to civic participation, and encourages others to make service a central part of their lives. “The Queen’s Awards are a fitting way to bestow honour on those, who by their demonstrated commitment and example, inspire others to engage in a life of service,” she told the honourees after pinning on the insignia. “Often, it is only by so doing that the latent talents in individuals are allowed to blossom, enabling our many dedicated and committed teachers, gifted and talented artists, renowned scientists and famous attorneys, to evolve and grow,” she said. The awardees were: Dr Lawrence Joseph who was recognized for his outstanding contribution in the public service as a lawyer. He is now a Commander of the British Empire (CBE). 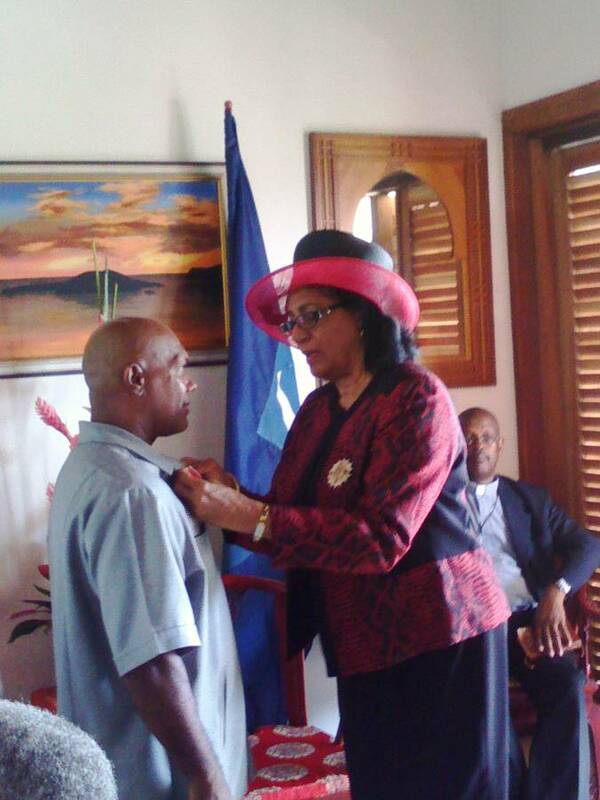 Receiving his Insignia for becoming an Officer of the Order of the British Empire (OBE) was Dr Slinger Francisco for services to Culture. The Calypso King of the world was born in Grenada, but grew up in Trinidad having moved there with his family at the age of 2. Member of the Order of the British Empire, which was awarded for a significant achievement or outstanding service to the community, went to Mrs Sheril Edwards–Courtney for services to business and the community ,and Mrs Rhoda Joan Henry for services to the community. 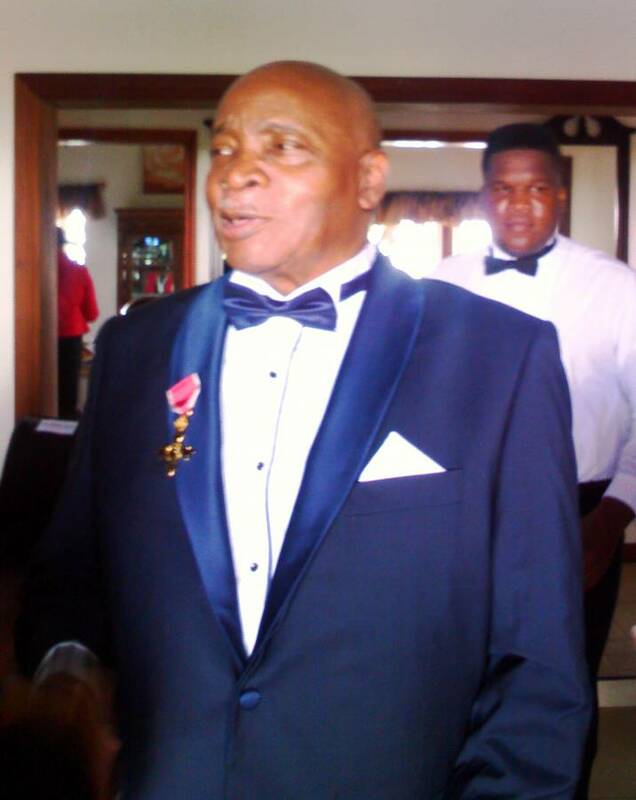 The British Empire Medal (BEM) award was bestowed upon Grenada’s national track and field coach Albert A Joseph, for services associated with sports and the community, and farmer Paul R A Jeremiah for services to agriculture/farming. “The individuals being awarded are role models. They have all provided selfless service to others; thereby enriching not only the lives of the people they touched, but also their own lives,” said the Governor-General as she congratulated the awardees and thanked them for all they have done for the country.